Nixon | Welcome William Aliotti to the Team from NIXON Europe on Vimeo. Not too unlike motorcycle clubs compelling you to work for that 3-piece patch, showing your worth and earning the respect of the vanguard, you can’t just join the Nixon team. One has to be voted in by the other members in order to join the elite Pro ranks of the tight knit family. 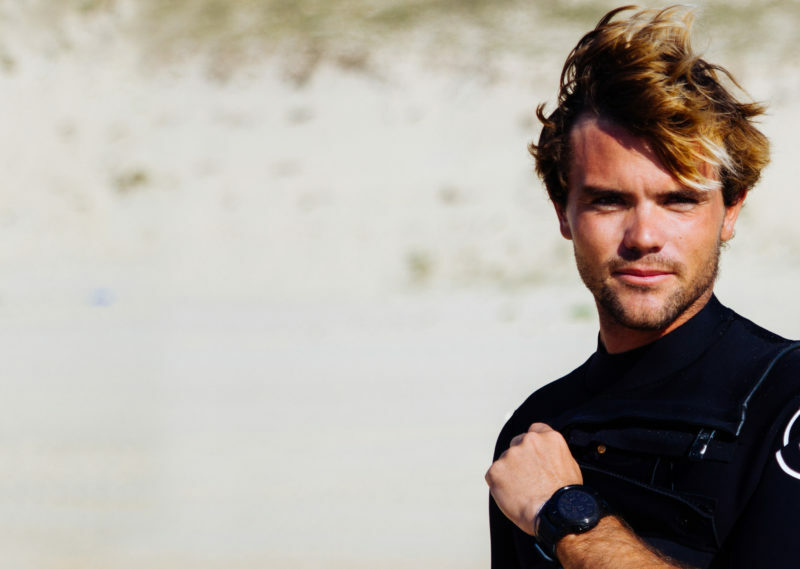 Through years of support from Nixon Europe, William’s hard work and commendable attitude both in and out of the water allowed him to prove his mettle to the surfing world. He’s just been voted in to be a full fledged member of the Nixon Family. Congratulations William! Benjamin Sanchis, a.k.a.- “Sancho” has the grueling task of traveling around the world to hunt down mind bending barrels for the enjoyment of your viewing pleasure. WHERE IS SANCHO l KANDUI from FTR Films on Vimeo. Buzzsaw 5’10.5″ x 19.35″ x 2.5″ bat tail CFT med. construction FCSII quad with “feathered brush fade” colorwork by Sandy. Thing v2 6’2″ x 19.2″ x 2.5″ round pin CFT med. construction FCSII 5-fin with “vert brush fade” colorwork by Sandy. Andrew Doheney slid down south of the border to get filthy on his 5’6″ Buzzsaw SK8. SK8 deck concave + front foot traction = Gumby laybacks! Summertime in Santa Barbara during a post-El Niño mega winter is a huge let down if you just got tubed out of your mind for the past 6 months. 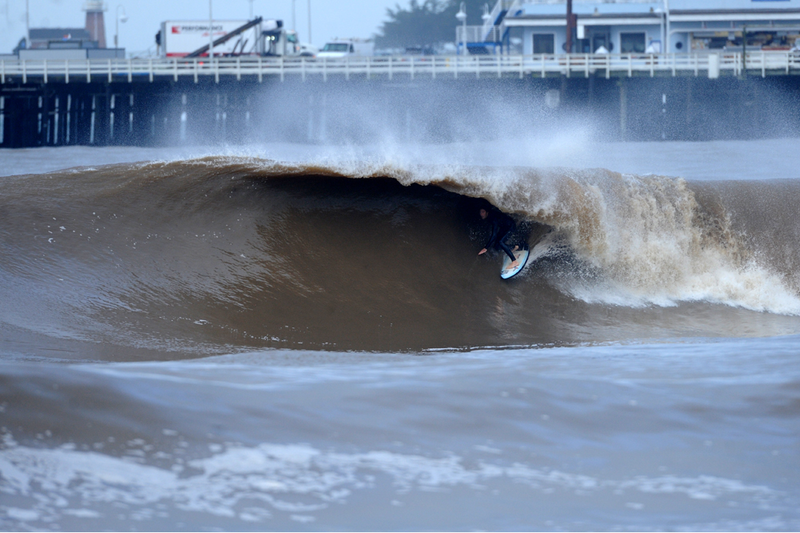 So, Andrew decided to keep stoking the fire and chased down a bomber swell all the way to Sumatra. The THING v2 round pin with Darshan Gooch from Stretch Boards on Vimeo. CFT std with uni-directional carbon tail strips and duplicate CFT std glassing substituted with Varial foam for testing performance differences between foam types. I’ve taken this board through a wide assortment of waves and conditions from average 3-5 ft beachbreaks, to pumping sand / cobblestone points, and even hollow barreling waves. One of the great strengths about this board is how it can handle the large variety of the wave types and conditions. I would ride the THINGv2 in an assortment of 4-6ft waves as a tri fin. When the surf gets into the excellent range or you may be considering a step up for additional down the line speed, riding the THINGv2 will give you the extra boost of confidence you may be looking for. 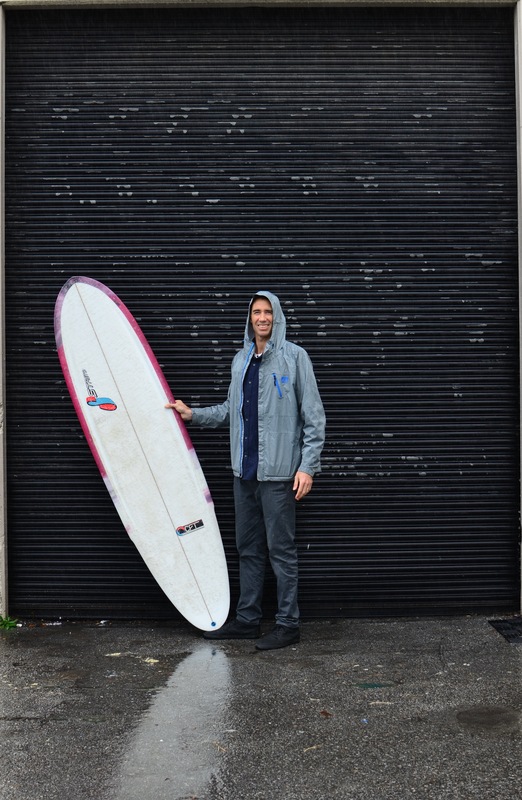 Considering that these boards showed up right as we were trending into an active El Niño season, there was no shortage of days to get well acquainted with these two boards. Initially, I had these boards set up as tri fins. As soon as I jumped onto these boards there was a sense of comfort, flow, and control. Considering there wasn’t much of an adaptation process, I immediately felt that the THING would be my trusty new companion for the season ahead. In good to excellent waves I found the quad fin setup to be the icing on the cake. It was like having another gear that allowed me to unlock some previously unseen potentials in a board that I was already very happy with. All likes here. The only dislikes worth listing would be trying to ride the THINGv2 as a quad in mediocre surf after having great success in good waves as a quad. I’m very curious to ride the 2X4 now and compare the differences and concaves in these two models. The THING is your best bet for getting the most “bang for your buck!” and the most versatile shortboard that will allow you adaptability in a range of average to an excellent waves. Thing v2 explained from Stretch Boards on Vimeo. The Thing v2 can be custom ordered to excel in small wave conditions, used as a step up board, tuned for aggressive performance surfing or ordered with our stock configuration for all around daily driver duties. Check out the Thing models in stock on our webstore or contact info@stretchboards.com to get dialed in on a new custom! Marko core on the left. Varial core on the right. Although glassed exactly the same, the weight difference between them was 310grams or 0.68lbs with the Varial packing in the slight extra heft. A surf trip south of the border can reset your mind, your soul and your perspective on the world we live in. Re-visiting childhood adventures as a new father brings a whole new meaning to the journey. 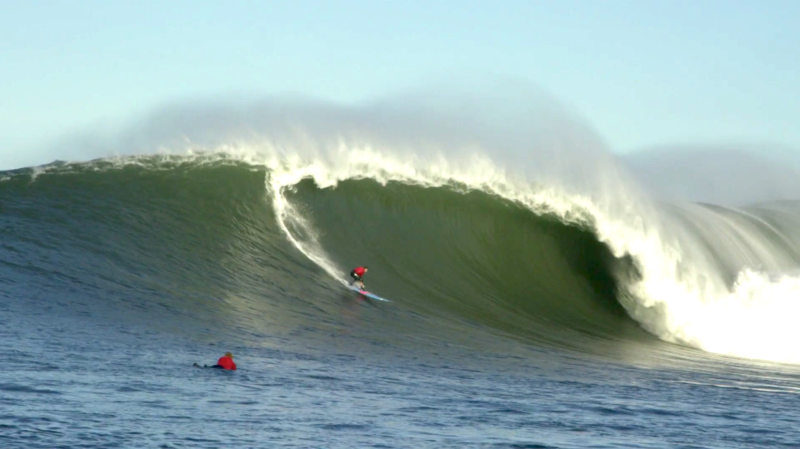 Herbie and Nathan Fletcher: Peninsula South from Nixon on Vimeo. Wiggolly Hawaii 15/16 from Stretch Boards on Vimeo. In this “First ride impressions” piece, the featured board happens to be none other than the most under stated, longest continually offered and most inquired board in the Stretch model line. 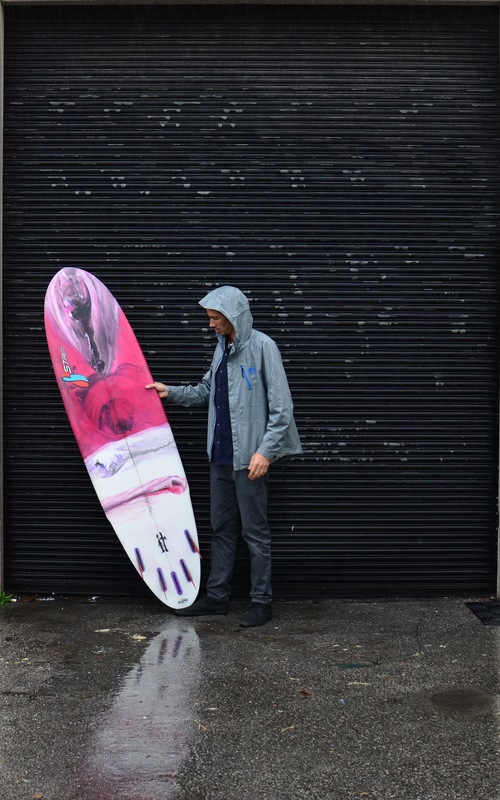 Darshan really wanted to wrap his head around the IT and what the mystifying board design was meant to do, where it could go on the wave and how it fits in to a surfer’s quiver. Stretch would sum up the IT model as longboard paddle and stability up front with control and maneuverability out the back. It’s got rocker, it’s got foil, it can be pushed harder than you may think. Over the past 20-something years since it’s inception the IT has turned heads and put smiles on every person who rides one. The stock size dimensions for Darshan’s 7’0″ IT show a nose width of 17.8″ and a tail width of 15.1″. That’s loosely calling it a “not so pointy” Super Buzz nose width spliced onto a tail width the same as a THING v2! 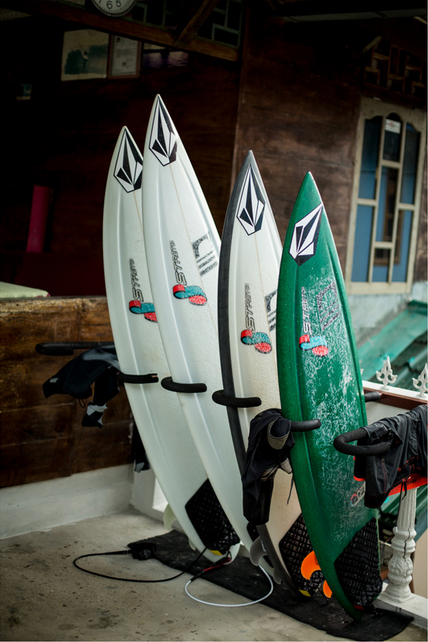 The IT comes standard with a 5-fin convertible set up. Available in either Futures or FCS systems. The IT really isn’t a down-sized longboard. It’s not an up-sized shortboard. It’s not really fair to call it a “funboard” or “mini-mal” or “micro HPLB”. The IT is so much of an anomaly we couldn’t come up with a more descriptive name! I would’ve called it the “Surf Mullet” if someone had asked but i think that name was already taken. The IT has been around longer than i have so we’ll just leave it at that. “Business in the front, party in the back!” Makes sense to me! Steamer Lane: Fairly clean, 4-6 ft waves off the slot and inside middle peak., a little challenging with the higher tide wobble and refractions.. Pleasure Point: 4-6 ft, North westerly slopey walls with lots of people/ obstacles. Goofy looking regular footer, 25 years surfing experience. Considering this board is fairly different than the boards I usually ride on a regular basis, I tried to approach this particular board with an open mind. The first thing I noticed when I jumped off the cliff and onto this board was it’s incredible paddling abilities. It was almost like I had to wipe the smirk off my face once I discovered the advantages I was gaining. Paddling! There was a huge advantage that opened up in the accessibility of catching waves I wouldn’t usually consider paddling for. Great down the line speed and maneuverability. The only weakness that comes to mind might be the amount of people you may upset if you take full advantage of this boards wave catching abilities. The IT : A very user-friendly board for a wide variety of waves and skill levels. Check out the available stock IT models for sale at: store.stretchboards.com. As always, each board is made custom and individual. Not seeing exactly what you are looking for? Choose from the “fast track” options in the pull down menu to put down a deposit and build up the stock dimensions with color, fins, logos, tail template and construction specs to your own personal preference! Can you duck dive it? 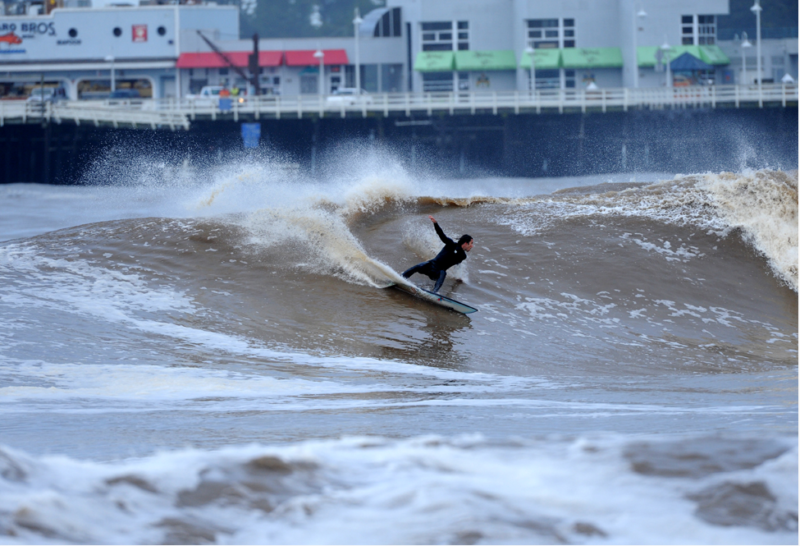 DG: At 7’0” I found the IT reasonably easy to duckdive in the 4-6 waves IT was tested. I think in bigger / more powerful surf or in larger sizes the IT could get challenging to push under waves unless you could over power it. DG: I have ridden the IT both with quad and tri fin setups. Personally I have enjoyed quads more recently but trust the tri fin setup to be equally functional. It’s all personal preference in my opinion. How does it work when the waves are pumping? DG: If the surf was pumping the IT will open up nicely! In a perfect world I would enjoy this board in some overhead walls where you could get in early with an abundance of speed and push this board down the line and through it’s paces. Top to bottom waves might be a little more challenging of coarse. DG: My intentions with the IT would be: taking a load off and cruising along like a sea bird. Long flowing movements, nothing to serious, just riding like the wind. Enjoy! Would you travel with it? The IT is a great travel board for easy locations where the consistency needle is trending to the lower end of the spectrum. It will cover all the bases and when the surf jumps up you won’t necessarily be scrambling for shelter since it has the rocker and foil to handle a bit more punch that the waves will throw at you. Can you nose ride it? Cheater 5’s, maybe. For sure in the longer lengths with a steep wall. Perching on the nose in full trim isn’t something that most people can handle on an over rockered longboard let alone a mid-length though. Can it be ridden as a tri? Single? 2+1? The IT was originally designed with a thruster set up. In the mid-2000’s when the quad craze went full tilt we were doing them as convertibles and also 4+1 set up’s with 8.5″ center fin boxes and even 10 1/2″ boxes if the length, width and rocker would accommodate it. This gave the most options for anyone who wanted 2+1, tri (with center box adapter plug for your normal FCS center fin) and yes, even a single if they wanted to get funky. Everyone raves about the quad set up in the IT but tri’s work darn well also! We make them 5-fin convertible so you get the best options to choose from. Can you get a longer version and surf cowells on one? You could….. We’ve made them long but the sweet spot is in the 7’0″ to 8’0″+ range. Groms, light footed proficient folks and smaller statured surfers could get away with it in large, slopey, slow moving walls but there’s a reason flat rockered logs dominate longboard zones. Paddling harder and getting less waves doesn’t sound super fun. What construction would you prefer? We’ve made them primarily in our CFT construction. EPS/epoxy gives a lively feel and adds the durability and longevity which is paramount in a board design such as the IT. Legacy cork/bamboo builds and funky color laminations are another way to spice things up. Custom builds are what we do so sky is the limit and is all about what your personal preference dictates. Stretch explains the theory behind the “stinger”to Darshan.